Has your heart waxed cold? Has your mind strayed away from God’s principles? False teaching, worldly influences and a spirit of wickedness have slowly manipulated people. This wickedness is waiting to rule over you. Ask yourself, who comes first? In Matthew’s verse “Love of many shall wax cold”, the Greek translation is: the agape love of many people shall turn “physco”. The meaning in bible dictionaries for this term is cold/ breath and or blowing. Physcros and physco are both translated in scripture as cold. Further research for a Greek definition of physco revealed the following: related to the soul, mind, also a study related to the body, nature, medicine or the physical world. The word cold in this verse from revelation :“So then because you are lukewarm and neither cold nor hot, I will spew you out of my mouth”is psychros meaning : cold, sluggish, inert, in mind. This version of word is used 3x. It seems, in this verse, to be a metaphor for cold personality- a cold mind. Here are the options that this verse may mean: In the last days, the love of many will grow: uncaring, unloving, worldly, selfish, making our own ways, worshipping nature, following worldly ideas, medicated, worshiping things of the world….worldwide just as a current of wind blows through an area so this wickedness will try to consume all. This week, I was studying the story in Matthew about how Jesus fed the 5000. Jesus had actually gone away to get rest after John the Baptist had died, but the crowd followed Him. I noticed how Jesus put the crowd before His needs. He needed rest, He was probably deeply saddened by John’s death and maybe also consumed with what was ahead for Him. He wanted to have quiet rest time and prayer with the Father, but He put his needs aside for all the people. This is the true shepherd, He laid down his life and all He had for us. Don’t get me wrong- we all need time to rest and pray- But Christ put the people’s needs first and trusted God to give Him the rest He needed. It makes me consider myself and times I have pushed my kids aside because I wanted my own time, or times I have ignored someone who needed my help because of my own selfishness. Often we need to remind ourselves – it’s not all about us. Me, me, me! Stop for a moment and imagine today was your last day. You are before the Lord God, would He say this to you ? My child, I gave you much time and had a plan for you, what have you done with the time I’ve given you? Do you know how much of your day you gave to your own selfish wants – the computer? The television? ………….. So much needed to get done, so many harvesters were needed. Why don’t your children know Who I AM? Why didn’t you come when I called you? Why did you choose the world over Me? Where is your gold and what can you buy with your money now? I was hungry and you ignored me, I was thirsty, but you turned your head. I was lonely but you didn’t care. I wanted to be your friend, I reached out for you, but you scoffed and turned away. I kept knocking, but you didn’t open the door. You honored me with your lips, but you knew your heart was far from Me. The Sweeping Current of cold self centeredness aka HWC (heart waxing cold) the new earthly phenomenon. How does our enemy work? First, he tries to steal the Word of God from our hearts. Once that is done, we soon begin to make our own ways and our own man made laws. Second, he tries to distract you from God’s word and promises. He sends arrows of doubt, fear and worry into your thoughts trying to destroy your faith. Thirdly, he gains a choke hold over you and blocks out God’s word through deceit, riches and all the world has to offer. Matthew 13:19-Therefore hear the parable of the sower: When anyone hears the word of the kingdom, and does not understand it, then the wicked one comes and snatches away what was sown in his heart. This is he who received seed by the wayside. But he who received the seed on stony places, this is he who hears the word and immediately receives it with joy; yet he has no root in himself, but endures only for a while. For when tribulation or persecution arises because of the word, immediately he stumbles. Now he who received seed among the thorns is he who hears the word, and the cares of this world and the deceitfulness of riches choke the word, and he becomes unfruitful. But he who received seed on the good ground is he who hears the word and understands it, who indeed bears fruit and produces: some a hundredfold, some sixty, some thirty. We can begin by putting on the warfare we have been given in Ephesians 6 and living by the Beatitudes in Matthew 5. Revelation tells us we can overcome the wicked one by “the blood of the lamb and by our testimony”. 2 Timothy gives us more insight: follow right doctrine, manner of life, purpose, faith, longsuffering, love, perseverance, persecutions and afflictions. “ But know this, that in the last days perilous times will come: 2 For men will be lovers of themselves, lovers of money, boasters, proud, blasphemers, disobedient to parents, unthankful, unholy, 3 unloving, unforgiving, slanderers, without self-control, brutal, despisers of good, 4 traitors, headstrong, haughty, lovers of pleasure rather than lovers of God,5 having a form of godliness but denying its power. And from such people turn away! 6 For of this sort are those who creep into households and make captives of gullible women loaded down with sins, led away by various lusts, 7 always learning and never able to come to the knowledge of the truth. 8 Now as Jannes and Jambres resisted Moses, so do these also resist the truth: men of corrupt minds, disapproved concerning the faith; 9 but they will progress no further, for their folly will be manifest to all, as theirs also was. Who comes first in your life? Your pet? Your neighbor? Yourself? God? Your club? The poor? The rich? Let’s talk: Recently a dog in my neighborhood needed to be put to sleep. He was paralyzed, deaf and blind but a sweet lady tried to help him. A local organization raised $15,000 to help the animal get wheels for his back legs, physical therapy in a pool, and weekly psychology visits – I’m not kidding you. He lived about 7 months before he died. It was amazing to see this outpouring for a dog- surely it was a kind gesture, but I don’t see the same kind of love outpouring for people. It doesn’t take a lot of searching to find someone in need. How few reach out to help the people around us who are struggling. Here’s something else that bothers me – SeaWorld’s Blackfish episode. The outpouring for the whale and mother has been astonishing. Singers have cancelled events at the theme park and it’s made a mess for them. Now I don’t know much of SeaWorlds reply, and certainly the situation bothers me, but let’s get real. If we really want to close down SeaWorld, let’s close down pet shops, fishing fleets, zoos and hey! Wait a minute- do we get the same outpouring of concern for the 60 million aborted babies? Today is January 17th, since the new year began, 1.8 million babies have had their skull crushed and brains vacuumed out ( A hollow tube with a knife-edged tip is inserted into the womb. This instrument is then connected to a vacuum machine. The vacuum suction, 29 times more powerful than a household vacuum cleaner, tears the fetus and placenta into small pieces which are sucked through the tube into a bottle and discarded or a pair of forceps is inserted into the womb to grasp part of the fetus. The teeth of the forceps twist and tear the bones of the unborn child. This process is repeated until the fetus is totally dismembered and removed. Usually the spine must be snapped and the skull crushed in order to remove them** from Lifesitenews.com.) or had chemicals/salt poured over their bodies until they die. Where’s the nation’s uproar for that? No – somehow in our “psycho/physcros” minds we seem to care more for an animal than we do for a struggling mother with children or a small infant in a mother’s womb. This certainly is the generation of phychros – those of a cold mind towards people. Sidetrack: I have to give a Shout out to SeaWorld Orlando for saying MERRY CHRISTMAS! I was in shock! Coming from happy holiday land (lauderdillians), I was amazed that a theme park would not only proclaim Jesus but have praise songs to Him all day long! Whoohoo for SeaWorld. In the first week of January, we walked through the gate and heard blasting through the park “Joy to the world, the Lord is come! Let earth receive her King; Let every heart prepare Him room, And heaven and nature sing. Joy to the world, the Savior reigns! The shops at SeaWorld had nativity sets and children’s books of Jesus! So yay for them, for being one of the last standing establishments to honor Christ. As my family was leaving, this song echoed through the park. See Him in a manger laid Jesus, Lord of heaven and earth! Mary, Joseph, lend your aid, With us sing our Savior's birth. Okay, so I got off track, but I had to share that good news with you. Let’s go back to our study……..
We were talking about the coldhearted people in the last days. As Christians- I want you to ask yourselves if you have in anyway become cold. Keep your eyes open to your ways and thoughts; be careful not to become coldhearted and uncaring for others. I believe there is a strong current, like a mighty force, sweeping through the land that we all would become uncaring and unloving to others. Another definition used for this word is breath- putting it all together – it’s as if a strong current is sweeping over people turning their hearts cold towards others. Besides selfishness, I think sometimes we can become cold hearted by the cold heartedness of people around us, but we can’t let that influence us. Jesus is our example of how we should treat others. He didn’t fight or shout, not did he break the weakest reed (which means he didn’t crush those already brokenhearted and weak). He asked forgiveness for those who crucified Him, can we find that same forgiveness and mercy for others within ourselves? Matthew 24 : Now as He sat on the Mount of Olives, the disciples came to Him privately, saying, “Tell us, when will these things be? And what will be the sign of Your coming, and of the end of the age?” And Jesus answered and said to them: “Take heed that no one deceives you. For many will come in My name, saying, ‘I am the Christ,’ and will deceive many. And you will hear of wars and rumors of wars. See that you are not troubled; for all these things must come to pass, but the end is not yet. For nation will rise against nation, and kingdom against kingdom. And there will be famines, pestilences and earthquakes in various places. All these are the beginning of sorrows. “Then they will deliver you up to tribulation and kill you, and you will be hated by all nations for My name’s sake. And then many will be offended, will betray one another, and will hate one another. Then many false prophets will rise up and deceive many. 12 And because lawlessness will abound, the love of many will grow cold. 13 But he who endures to the end shall be saved. 14 And this gospel of the kingdom will be preached in all the world as a witness to all the nations, and then the end will come. “Therefore when you see the ‘abomination of desolation, spoken of by Daniel the prophet, standing in the holy place” (whoever reads, let him understand), “then let those who are in Judea flee to the mountains. Let him who is on the housetop not go down to take anything out of his house. And let him who is in the field not go back to get his clothes. But woe to those who are pregnant and to those who are nursing babies in those days! And pray that your flight may not be in winter or on the Sabbath. For then there will be great tribulation, such as has not been since the beginning of the world until this time, no, nor ever shall be. And unless those days were shortened, no flesh would be saved; but for the elect’s sake those days will be shortened. “Then if anyone says to you, ‘Look, here is the Christ!’ or ‘There!’ do not believe it. For false christs and false prophets will rise and show great signs and wonders to deceive, if possible, even the elect. 25 See, I have told you beforehand. “Therefore if they say to you, ‘Look, He is in the desert!’ do not go out; or ‘Look, He is in the inner rooms!’ do not believe it. 27 For as the lightning comes from the east and flashes to the west, so also will the coming of the Son of Man be. For wherever the carcass is, there the eagles will be gathered together. 29 “Immediately after the tribulation of those days the sun will be darkened, and the moon will not give its light; the stars will fall from heaven, and the powers of the heavens will be shaken. 30 Then the sign of the Son of Man will appear in heaven, and then all the tribes of the earth will mourn, and they will see the Son of Man coming on the clouds of heaven with power and great glory. 31 And He will send His angels with a great sound of a trumpet, and they will gather together His elect from the four winds, from one end of heaven to the other.32 “Now learn this parable from the fig tree: When its branch has already become tender and puts forth leaves, you know that summer is near. 33 So you also, when you see all these things, know that it[d] is near—at the doors! 34 Assuredly, I say to you, this generation will by no means pass away till all these things take place. 35 Heaven and earth will pass away, but My words will by no means pass away.36 “But of that day and hour no one knows, not even the angels of heaven,[e] but My Father only. 37 But as the days of Noah were, so also will the coming of the Son of Man be. 38 For as in the days before the flood, they were eating and drinking, marrying and giving in marriage, until the day that Noah entered the ark, 39 and did not know until the flood came and took them all away, so also will the coming of the Son of Man be. 40 Then two men will be in the field: one will be taken and the other left. 41 Two women will be grinding at the mill: one will be taken and the other left. 42 Watch therefore, for you do not know what hour[f] your Lord is coming. 43 But know this, that if the master of the house had known what hour the thief would come, he would have watched and not allowed his house to be broken into. 44 Therefore you also be ready, for the Son of Man is coming at an hour you do not expect.45 “Who then is a faithful and wise servant, whom his master made ruler over his household, to give them food in due season? 46 Blessed is that servant whom his master, when he comes, will find so doing. 47 Assuredly, I say to you that he will make him ruler over all his goods. 48 But if that evil servant says in his heart, ‘My master is delaying his coming,’[g]49 and begins to beat his fellow servants, and to eat and drink with the drunkards, 50 the master of that servant will come on a day when he is not looking for him and at an hour that he is not aware of, 51 and will cut him in two and appoint him his portion with the hypocrites. There shall be weeping and gnashing of teeth. What has happened to us? Has the current of filth and worldliness caused us to drift so far we don’t realize our ways anymore? Lord, open our eyes, our ears and our hearts to your call. Set our feet back on the right path and give us discernment when we start to slip. I know you are always there for us, but keep us from honoring you with only our lips and not our hearts. Give us a love for others as Christ has. Teach us to consider others above ourselves. Forgive for our cold self-centeredness. Let us be a light in this world that would lead others to your kingdom. Give us a love for others, give us a heart of mercy , a heart of grace and forgiveness as you have showered upon us all through Christ your Son, In Jesus name, Amen. You are saved by grace ? I had a dream about a year ago and in this dream, I stood before a great king. He seemed larger than life and he sat on a great throne. It seemed I was only 1/3 of his height. We were going back in forth in debate- well only I was debating- on the subject of salvation, but the king only had one answer and would defeat my argument each time. What! That can’t be, I would argue back. The bible is clear that we are not saved unless we believe and even that isn’t enough, because scripture says that even the devils believe, and with this that we need works, because the bible says with out works, our faith is dead. So we need to believe, but we need to add to that faith, but yet, still that is not good enough, we need works – because scripture says that. Really? I argued back, so how does that make sense? What about John 3:16?So I guess everybody’s saved, if it’s only grace? But what about those who don’t believe in Christ? Are they saved only by grace because what good is believing, faith and works then? Do they all disappear? What about Hebrews 11:6- We can’t please God without faith and Romans 1:5 and 16:26 we need to believe and OBEY, and 1 Corinthians 13:1-3 I had such faith that I could move mountains, but didn’t love others, I would be nothing and he cuts off every branch that doesn’t produce fruit- so that proves we need works; and works without love is worthless, so now we need works, love, faith, and fruit to be saved!!!!!! “ No, it is only by grace that you are saved” He kept saying to me. I was totally annoyed because I didn’t feel like I was winning this argument. The king would look at me with the most loving eyes and let me finish each thing I said before he spoke. He seemed to look at me as a loving father would, even in my frustration – he would calmly tilt his head back touching the back of his throne with his head and smile as if I were quite entertaining. He never got angry and always looked at me with loving eyes, even though I was mouthing off and flying my hands all over the place with my argument. Each time I would finish my argument, he would pause…. Smile at me and say – in a ‘he was so right way’ – “it is only by grace that you are saved”. And I kept on: Well why do I need to keep running the race? Aren’t I supposed to win the prize? I keep running as it says in 1 Corinthians 9, and what about faith- what good are we without faith in the Lord Jesus Christ – His death and resurrection? 1 tim 1:9 and all the old testament great men were honored because of their faith – like Abraham- because of their faith- in Hebrews 11” And Romans 3 says we are made right with God because of our faith, not obedience.Doesn’t faith justify us in Gal 2:16 and Romans 5:1? So it’s not grace – impossible– Salvation is belief in Jesus, plus works, plus faith, plus love, plus fruit – because without that….aren’t we chopped off that vine? No, I said, you are wrong- impossible. I know all the scripture and I know I’m right. I saw him look at me, enjoying this conversation. He knew he was right and he knew my argument wasn’t standing up to his. So I continued on…..okay, well what about this verse: “When you follow the desires of your sinful nature, the results are very clear: sexual immorality, impurity, lustful pleasures, idolatry, sorcery, hostility, quarreling, jealousy, outbursts of anger, selfish ambition, dissension, division, envy, drunkenness, wild parties, and other sins like these. Let me tell you again, as I have before, that anyone living that sort of life will not inherit the Kingdom of God” where does grace fit in there? Doesn’t that verse prove we are saved or not saved by our actions? And see! Look at Romans 4” But people are counted as righteous, not because of their work, but because of their faith in God who forgives sinners.” So here we go with rock, paper, scissors! It’s faith, and not works? But still – it’s faith in God, right? So now it’s just faith, but wait Thou believest that there is one God; thou doest well: the devils also believe, and tremble” (James 2:19).- so faith and belief are different? Anyways- how can God’s grace alone save us? I know God’s grace is important, but I know we are saved because we believe, and even that is not enough! Because even the devils believe, and we must add to that faith because without faith we cannot please God and to that we must add works because faith is shown in works, and to that we must add love because works without love is nothing and to that we add fruit, because without that we are cut off from the vine, and there you have it, I win. It is only by grace, that you are saved. The argument went on and on through the night. I kept quoting scripture, but the king kept winning the argument with his reply “You are saved by grace” ,Uggghhhhhh! I woke up and I still felt like I had not won this argument. As the Holy Spirit has sealed us for the day of redemption, could also God’s grace do the same? Is Gods grace the underlying denominator to faith, works, belief, love, and fruit? It is by grace that 7- He gives me discernment and knowledge to know right from wrong. I’m still not done studying, but I keep on…I keep on…. Do you know how much He loves you? Do you really understand God’s love for you? His thoughts of you outnumber the sands on the seashore! He has made us a Kingdom of priests for God his Father. Love others as the Lord loves you. Forgiving with Mercy, treating your neighbor with love, compassion for others, being patient with the faults of others and always ready to lay down your life as Christ laid down His life for you. I hope and pray that you understand this great mystery that Christ died for you, and that God sent His only Son to take your place so you might live eternally with Him remembering always; He created you to be Holy, as He is holy. I know! Unity sounds like such a boring subject, and it’s my second post on this topic, but I found some really cool stuff on unity. The last few weeks seem to be my testing time on this subject. Every where I turn, the Lord shows me how important it is to Him that I live in unity and harmony with others. unity is bound by peace, and our completeness is bound in love. I can cry out “we need unity” in our churches and then come home and want to run over a few people. Maybe… if we want unity in our churches, we should begin by looking at our own lives first. Some of those closest to us are the most difficult to stay in unity with. As I read through the bible, I see that the Lord prefers us to get along TOGETHER. In other words, do all you can to get along- without separating from each other. Yes, I know people can be annoying- in our own churches (and in our families), but we need to do everything we can to live our lives pleasing to the Lord. The binding force for unity is peace. It’s key- and from an earlier post, I found that Peace is a protector. It protects us from evil. Sometimes we just need to hold our tongue in order for that to happen. That is why we are told to bring our thoughts captive to Christ. He can sort out our messes better than we ever could. However, there are times we are to speak out, as Paul did in Romans 9 and Acts 15, but we need to be fully led by the Holy Spirit and check that it isn’t our flesh leading the way. (and make sure it is spoken with the love of Christ) There are certain times when separation brought peace –such as with Abraham and Lot and also in Acts 15:38 when Paul and Barnabas “ disagreed strongly”. ( since John Mark had deserted them in Pamphylia and had not continued with them in their work. Their disagreement was so sharp that they separated. )- but the Lord prefers that we do our best to stay in harmony together. Love binds us in completeness. verse 1: Behold, how good and how pleasant it is for brethren to dwell together in unity! Brethren: be at peace with those in your family and the family of Christ. This is pleasing to the Lord. verse 1 (Spurgeon Notes)”From Charles Spurgeon”Psalm 133:The treasury of David”:“For brethren according to the flesh to dwell together is not always wise; for experience teaches that they are better a little apart, and it is shameful for them to dwell together in disunion. They had much better part in peace like Abraham and Lot, than dwell together in envy like Joseph’s brothers. When brethren can and do dwell together in unity, then is their communion worthy to be gazed upon and sung of in holy Psalmody. Such sights ought often to be seen among those who are near of kin, for they are brethren, and therefore should be united in heart and aim; they dwell together, and it is for their mutual comfort that there should be no strife; and yet how many families are rent by fierce feuds, and exhibit a spectacle which is neither good nor pleasant!As to brethren in spirit, they ought to dwell together in church fellowship, and in that fellowship one essential matter is unity. We can dispense with uniformity if we possess unity: oneness of life, truth, and way; oneness in Christ Jesus; oneness of object and spirit—these we must have, or our assemblies will be synagogues of contention rather than churches of Christ. The closer the unity the better; for the more of the good and the pleasant there will be. Since we are imperfect beings, somewhat of the evil and the unpleasant is sure to intrude; but this will readily be neutralized and easily ejected by the true love of the saints, if it really exists. Christian unity is good in itself, good for ourselves, good for the brethren, good for our converts, good for the outside world; and for certain it is pleasant; for a loving heart must have pleasure and give pleasure in associating with others of like nature. A church united for years m earnest service of the Lord is a well of goodness and joy to all those who dwell round about it.”How good and holy pleasant it is for brethren to dwell together in unity! No one can tell the exceeding excellence of such a condition; and so the Psalmist uses the word “how” twice;—Behold how good! and how pleasant! If unity is like the anointing oil that descended on Aaron, then unity is holy and it sanctifies us before the Lord. This unity anoints us, blesses us and sanctifies us. Oil heals! Could unity be healing? Isaiah 1:6 tells us oil (and prayer) helps us heal. Spurgeon: Psalm 133: vs 2:What a sacred thing must brotherly love be when it can be likened to an oil which must never be poured on any man but on the Lord’s high priest alone! It is a diffusive thing: being poured on his bead the fragrant oil flowed down upon Aaron’s head, and thence dropped upon his garments till the utmost hem was anointed therewith; and even so doth brotherly love extend its benign power and bless all who are beneath its influence. 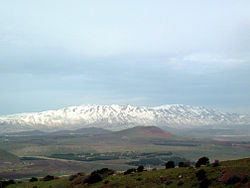 Verse 3: Unity is like the dew on Mount Hermon. Why would the dew on a mountain be important? The holy dew in the wilderness turned to manna which feed, nourished and strengthened the people. So…. Then does unity strengthen us? I’d say yes. Ex 16:14 “ and when the dew gone up, behold –there lay a small round thing and it was bread from heaven. Let’s look at this again – dew is like water –or like the water in baptism and when the dew was gone up, manna was left. Manna – bread- the bread of life – Jesus? Again the dew on the mountain is from top to bottom, like in the oil from verse two. This unity flows or descends upon others. Here’s an unbiblical example: I just happened to catch a glimpse of a kid’s dance competition on tv and the mothers talk a lot of trash about the other children. Well guess who repeats it? Their children! So the discord among the parents then flowed out to their children and then pretty soon someone was crying. There the Lord commanded the blessing. God commands his blessing where peace is cultivated; by which is meant, that he testifies how much he is pleased with concord amongst men, by showering down blessings upon them. The same sentiment is expressed by Paul in other words (2Co 13:11 Php 4:9), “Live in peace, and the God of peace shall be with you.”—John Calvin. Okay, I see – If we are the body of Christ, we are to walk together. Notice the verse said live in harmony with your BRETHREN. This verse is talking about those who follow Christ and those who follow the doctrines of devils cannot walk in unity. The two cannot walk in harmony together. Okay, Jesus just answered that for me. True test of harmony– is there giving, selflessness, charity, hospitality among you? Are there no needy among us? I’d say we still have work to do. Unity is only possible with God’s help: “and it is God who helps us live in this harmony with each other “May God, who gives this patience and encouragement, help you live in complete harmony with each other, as is fitting for followers of Christ Jesus. Then all of you can join together with one voice, giving praise and glory to God, the Father of our Lord Jesus Christ” Romans 15:5-6 With Christ all things are possible. So ask ourselves today….Can I live in harmony with those around me for the sake of God’s kingdom and so that I can be a light and an example to this world so that others would believe in Jesus? Unity is precious to the Lord. It anoints, empowers and strengthens as one body in Christ Jesus. But they make me sooooo angrrrrry!